Expats often remark how living in another country has helped them grow. Personal growth here usually means they've found room in their attitudes and opinions to accommodate new information. They've developed more flexibility in their thinking. I always hope I will carry what I've learned about myself into realms of my life when I'm back in the United States too. Being in a different culture transforms even simple decisions into opportunities for self-examination, opportunities that were lost in daily life at home years ago. Even getting dental work in Mexico calls into question your biases and level of cynicism. What to pay for services as a comparatively affluent person in a poor country constantly yanks you between saving as much as you can (After all, it's a main reason to live here), and doing what feels right. For all the terrible traits Americans have, Mexicans know us to be generous. We tip well. We are fair, maybe even naively so. We are optimists. We never believe we will ever be poor. On a whole (and this is just a palapa survey talking), Americans don't mind paying a little more for quality services or even just meeting their expectations, as long as the situation doesn't get out of hand. For all our swagger and obnoxiousness in public places, our reputation for generosity and fairness redeems us in Mexico, stoking a fondness in the hearts of Mexicans that we probably otherwise would not deserve. I've known for quite some time that I would be needing a root canal. Other than cosmetic dentistry, Dentistry has evolved little in the last 50 years. Prices have skyrocketed in the U.S. nonetheless. A root canal would cost me a minimum of $1,200 at home. Dentistry is one of those areas where there is no question you should do in Mexico if you are paying out of pocket. I happened to pick up a paper and noticed a dental group in Mazatlán was running a special. I went in for a consult, a confirmation really. For the endodontics, post and porcelain crown, the total cost would be $350. Expats always ask their expat friends for referrals for doctors, dentists, everyone actually (a good start as long as you follow this up with asking your Mexican friends what they pay for services.) An expat friend had told me she had an excellent endodontist. If a consult costs so little, I thought, why not check him out too? I had no qualms about the first dentist's price. Since about the age of 35, I've grown accustomed to my dentists looking very young. The endodontist looked like she was still in high school. How many had she done? Silly, I realized, but why not check the other guy? The endodontist my friend referred to me had an apparently spa-inspired office in El Centro. After tapping on my teeth and doing x-rays exactly like the first specialist had, he gave the same diagnosis. He quoted me 14,000 pesos ($750) for the same treatment, more than double the first endodontist. Moreover, he charged me 800 pesos for the consult ($43 dollars). Shocked, I told him I only had 600 pesos on me. He accepted that. Now, it would be easy for the story to end there, simply a case of another dentist or service provider seeing an American and jacking up the price accordingly, typically to a price less than in the U.S. but far more than a Mexican would pay. But let's think about that. How many times have you found out you were paying double what a friend paid for a service in the U.S.? In my own case, what came to mind was my former C.P.A., who charged me almost three times what my current CPA does to prepare my taxes. The only way to determine if the second endodontist was taking advantage of my expat status would be to find out what his Mexican patients paid. In the case of the first endodontist, the office had a price sheet they gave to everyone, something I've learned to ask for at gyms, spas, and other services. They don't always have a list, but I always ask. Taking this a step further, this may not be a simple matter of opportunism by either the C.P.A in Denver or the second endodontist. Both may truly believe that by wont of specific training or background, their services are more valuable. Looking back over the last few years as a part-time expat, the number of times that a vendor or service provider has charged or attempted to charge substantially more than their peer providers, regardless of the reason, has been almost exactly the same in both countries. To bring this back around to personal growth, experiences like these always force me to examine my biases. The second endodontist is no different in their practice from my former C.PA. in Denver. Being outside my culture in Mexico made the price quote from the second endodontist feel more sinister when in truth it is no more distasteful than American capitalism often is. The most precious of commodities to purchase in Mexico is time. The daily luxuries that you will once again be able to afford in Mexico, All for less than $35 U.S. Most recent: It's rather exciting to be in Mexico for the election of a new president. Up next: The price in Mexico for America's most expensive drugs. 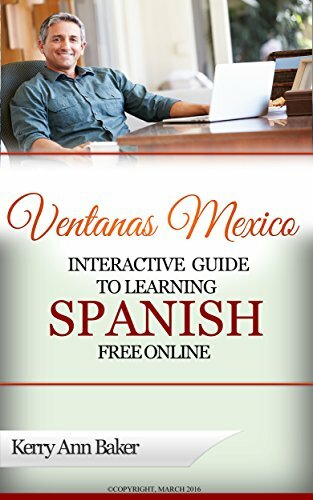 Kerry Baker is the author of two books, The first is "The Interactive Guide for Learning Spanish Free Online," a curation of the best free tools on the web for learning Spanish, The interactive links are organized into lesson plans, or you can create your own unique plan every day. Boredom is the biggest obstacle to learning. The array of tools in this book will ensure you never are. 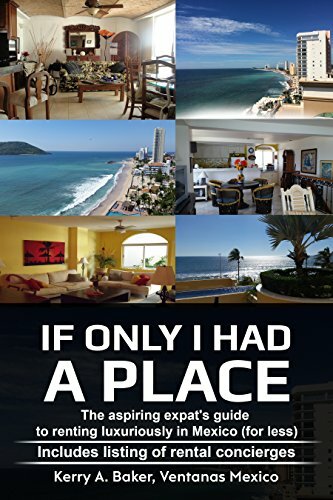 The second book is "If Only I Had a Place," a guide to renting luxuriously in Mexico, complete with a list of vetted concierges in all the most popular expat destinations. Learn the advantages and the pitfalls of renting as an expat.